Address: 456301 Chelyabinskaya obl., Miass-1. Zapovednik Ilmensky in the northern Chelyabinsk Region was established in 1920 as a mineralogical reserve, and in 1935 re-organized into an integrated Zapovednik. Its area is 34,4 thousand ha. 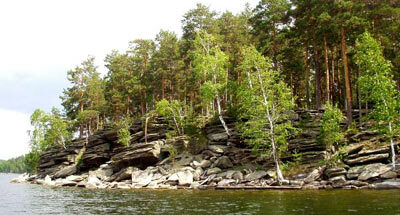 The Zapovednik is located on the east-facing slopes of Southern Urals. The relief of the western part is low-mountain. 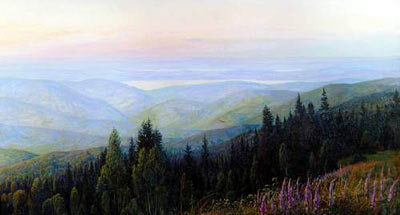 The mean elevations of the ranges (Ilmensky and Ishkulsky) are 400-450 m above the sea level, the highest elevation being 747 m. The eastern foothills are moderate-size highlands. More than 30% of the area is woodland; about 6% are meadows and steppes. Mountain tops are covered with larch-pine forests. 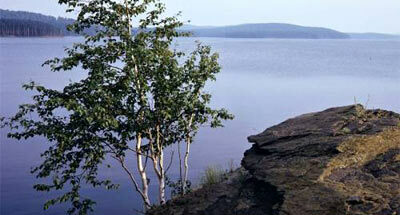 In the south, pine forests prevail; on the north, pine-birch and birch. The west-facing slopes of Ilmen Mountains contain an old pine forest massif. Larch forestlands, rocky, grass-forb and shrub, moss begs with cranberry and Ledum occur. The flora comprises over 1200 plants, with numerous endemics, relict and rare species. The mammalian fauna includes the fox, wolf, lynx, ermine, polecat, Siberian weasel, squirrel, flying squirrel, blue hare and European hare. Occasionally, the brown bear comes in. The moose and roe deer are not numerous. The axis deer and beaver have been acclimatized. Characteristic avian species are the woodcock, capercaillie, black grouse, hazel grouse, the common partridge, the cuckoo, oriental cuckoo, and the imperial eagle. Ten species of waterfowl are recorded. The whooper swan and common crane breed in the Zapovednik. The rare birds to be found are: the white-tailed eagle, the peregrine falcon, osprey. In 1930 a mineralogical museum was established by A.E. Fersman, which displays over 200 different minerals found in the Ilmensky Mountain Range, including topazes, corundum, amazonites, etc. In 1991 a subsidiary was established — a historical-landscape Zapovednik Arkaim with an area of 3,8 thousand ha, located in steppe foothills of the eastern Urals, in the Karaganskaya valley. Arkaim protects more than 50 archeological monuments, including ancient graves, bronze age settlements and other historical features. Of special significance is the fortified settlement Arkaim, dated XVII-XVI centuries BC.